I'm binding quilts today. And I'm not even using Susie's Magic Binding! I bound a charity quilt for Front Range Modern Quilt Guild, but I didn't have a fabric similar to what was used on the front. So I cut the binding at 2.5", stitched it to the front and wrapped it to the back and top stitched. 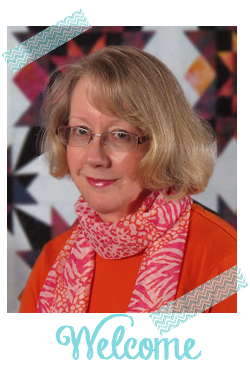 Hey, if Bill Kerr and Weeks Ringle can bind their quilts that way, so can I! Before I show you the day's fail, how about the day's success? 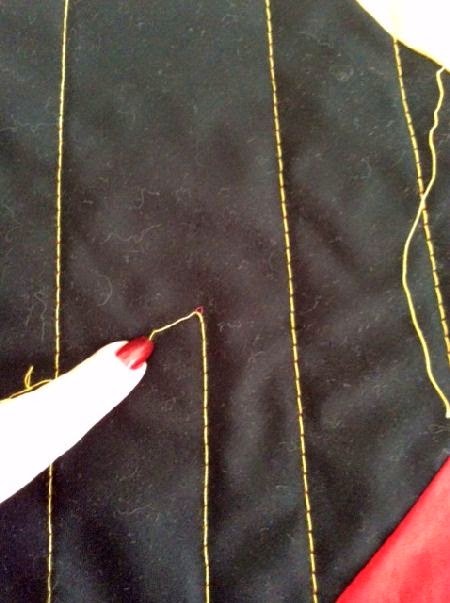 It's only a little peek, because this is a test-sew for my favorite bag designer, Sara Lawson of Sew Sweetness. 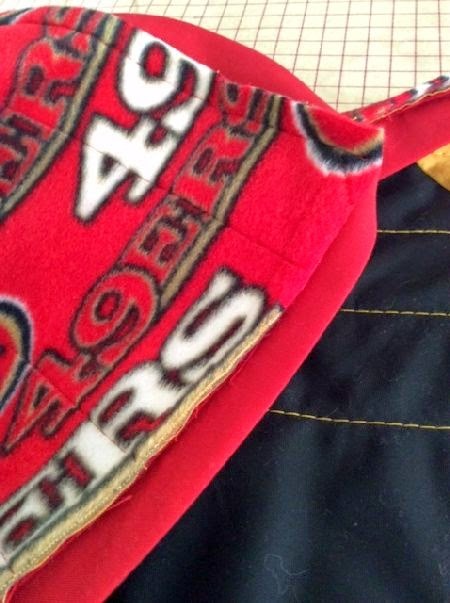 I made a quilt from my son's roommate, who is a major San Francisco fan. 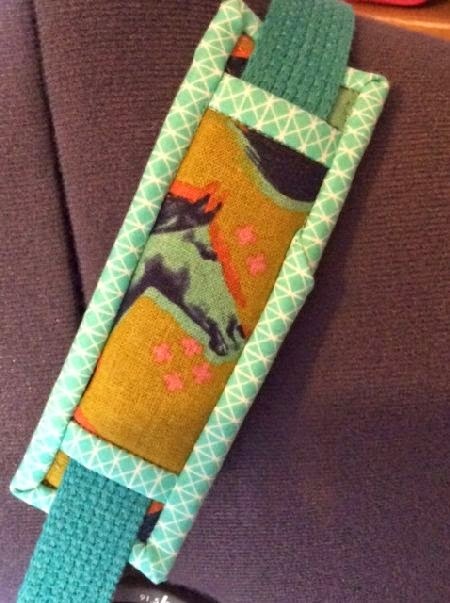 I couldn't find the San Francisco fabric (I thought) was in the stash for the backing. So I ran to JoAnn and bought some 49ers fleece. I decided to experiment with leaving out the batting and just using the fleece as backing and batting combined. 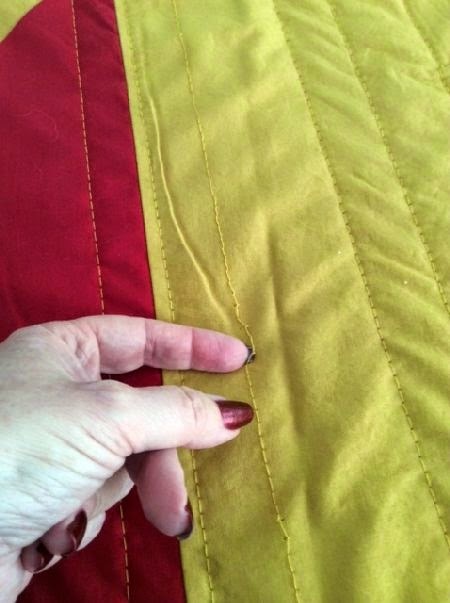 I loaded the quilt and fleece on my Viking Mega Quilter, and it stitched just fine. I thought! 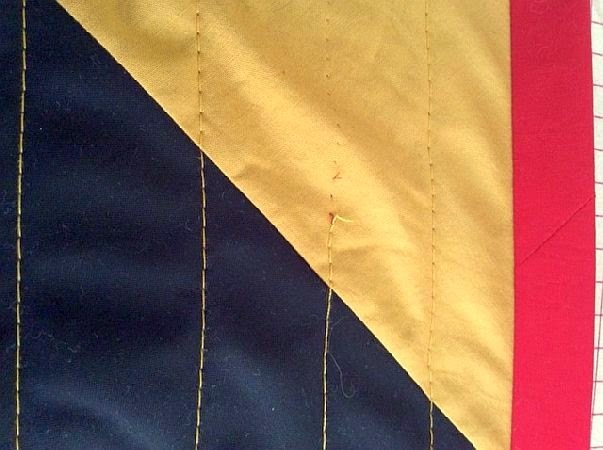 When I trimmed the extra backing away, I noticed the quilting stitches were loose in several places. I don't know if the stitches didn't form because I didn't anchor them at the beginning of the row -- I started stitching on the backing, so I didn't anchor them. Anyway, I am re-quilting the "bad rows" on my Juki and I'll ask Vivian, the quilting expert at Ruth's, if she has an idea what went wrong. Nic will love the quilt, even if it falls apart the first time he washes it. And I have enough fleece to make a blanket for his dog, Willy! 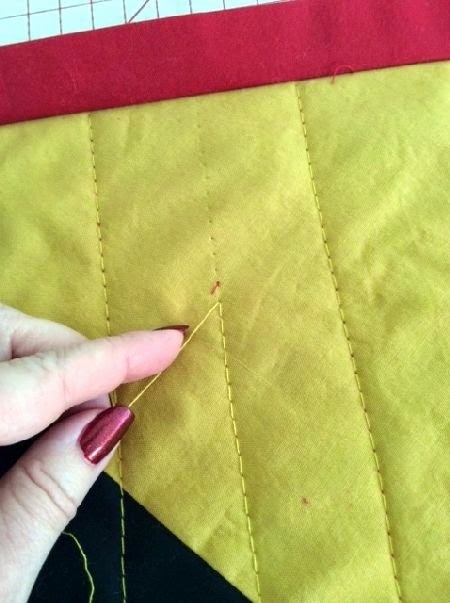 Have you had any experience using fleece as a quilt backing? Any hints for the next time?